Even when it seems like all hope might be lost, it's important to remember that, really, anything is possible. A family who never thought they'd see their dog again was stunned when they got a call that he had been found - and was eager to come back home. A dog named Boozer was lost when he was only a year old, when his family was in the process of moving from Tennessee to Alabama. The family searched but was unable to find Boozer, and after a while, they gave up hope that they would ever see him again. But they were wrong. Nine years later, Boozer's new owner could no longer keep him, and brought him to the Foothills Animal Shelter near Denver. 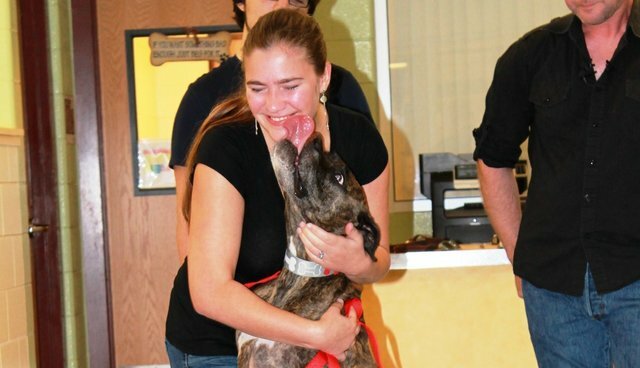 When the shelter scanned Boozer's microchip, they found he had another owner, and immediately contacted Lloyd Goldston to inform him that they had his beloved Boozer. "When caring for over 9,300 animals every year, you see a lot of different cases. This one was definitely special and extremely heartwarming," Jennifer Strickland, of Foothills Animal Shelter, told The Dodo. 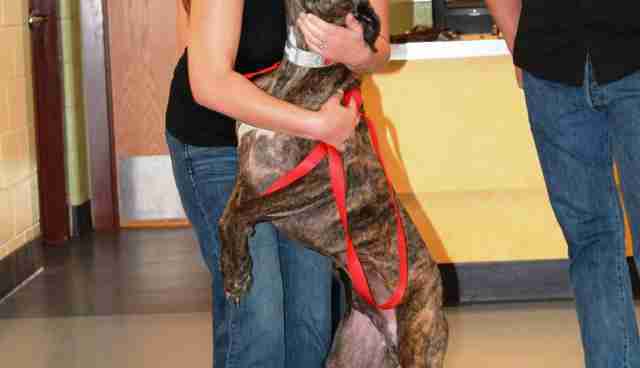 "We cannot encourage pet owners enough to have identification on their pets, both collars and tags, and microchips as well, which is of course what connected Boozer back to his original family." To get a call after nine whole years that your puppy is alive, well and now a thriving 10-year-old adult boxer must be an absolutely incredible feeling. Goldston and his family made the long drive from Alabama to Colorado to be reunited with Boozer - and the reunion that ensued was absolutely adorable. "He absolutely recognized them. 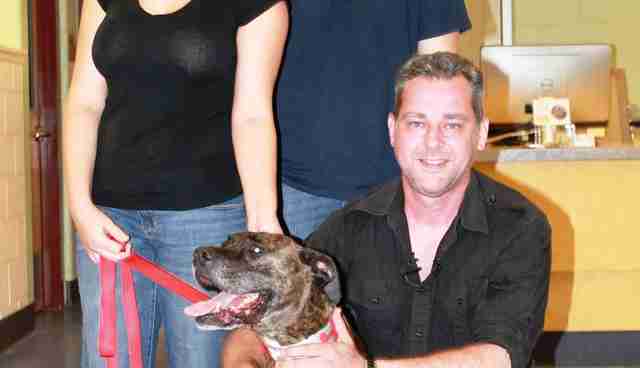 He was happy at first to see them, because he is just a friendly dog," Strickland said. "But I felt as though after about 10 to 15 seconds, Boozer truly remembered them. His excitement level increased at that point even more. It was amazing to see." The family had never forgotten about Boozer, even after all these years. Clearly, Boozer never forgot about them, either.